When I was a kid, we didn’t have insect repellent. We had bug juice. That’s all my dad ever called it, and probably still does. It didn’t contain essential oils or any other natural ingredients that I know of. The stuff we relied on was based on chemical compounds like DEET, which can have some toxic side effects, especially when used in conjunction with antihistamines (which a lot of people use during allergy season). 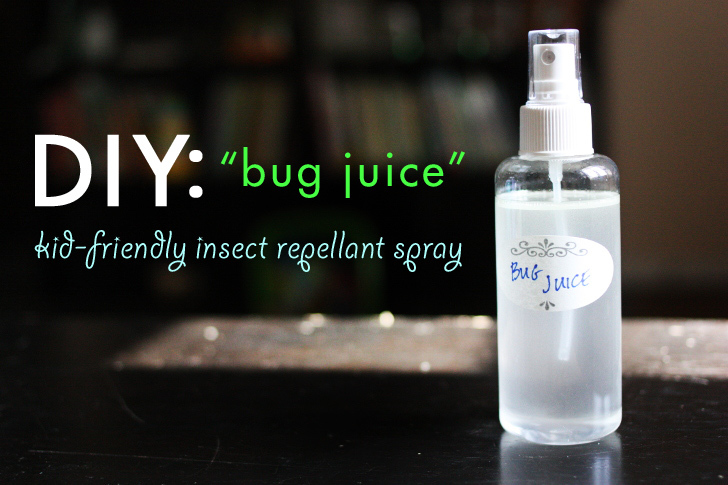 You can buy a natural and effective form of bug juice but it’s going to cost you. Commercial brands also usually have extra ingredients like preservatives and stabilizers, even when it’s a natural formula. Why bother with a store-bought bug spray when you can make your own faster than you can pack a picnic lunch? Whip up a quick batch before your next trip to the park, and rest easy knowing your family is being protected from both stinging insects and dangerous chemicals. 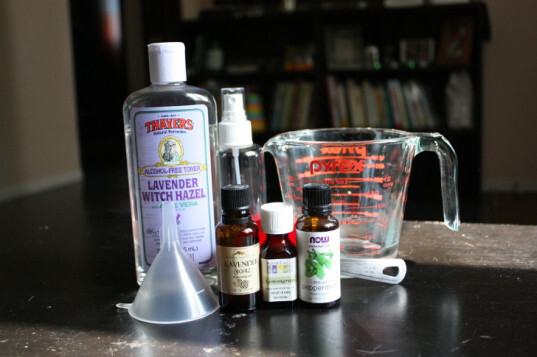 Mix the water and witch hazel in a measuring cup and give it a good swirl to combine. Pour into the spray bottle. 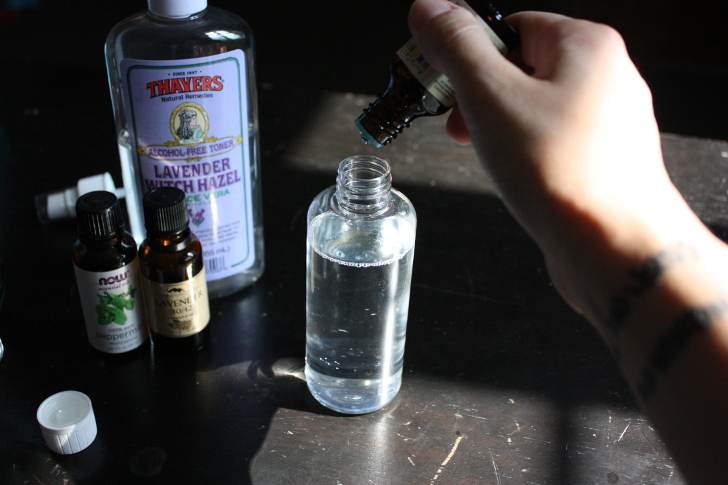 Add the essential oils and swirl again before screwing on the spray top. 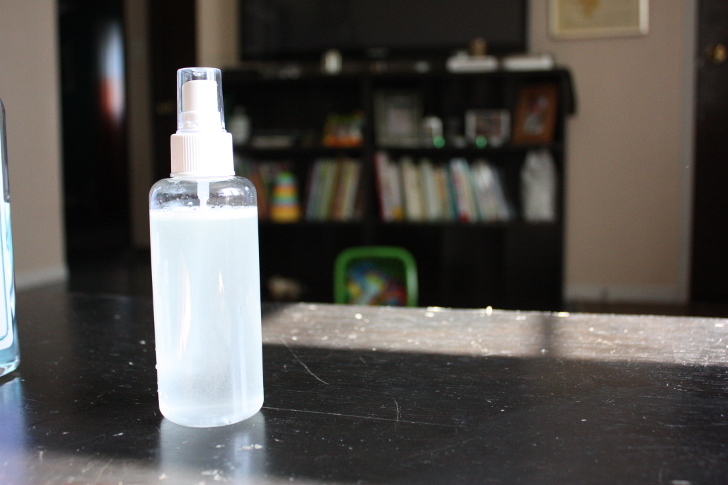 This recipe makes enough for one 6-oz spray bottle but can be doubled as needed. 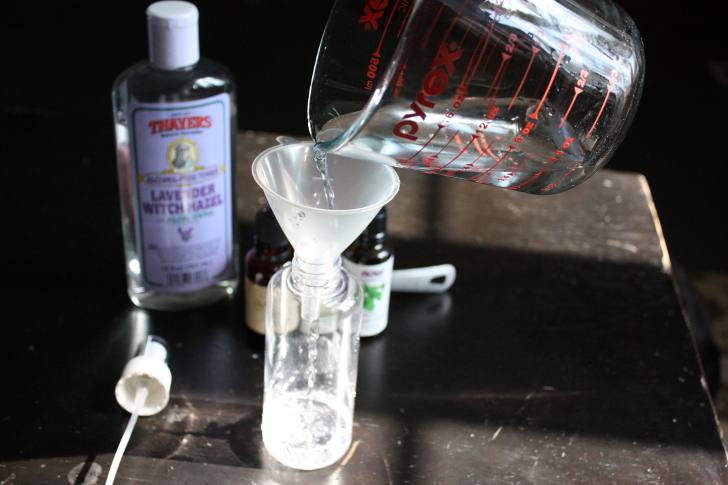 The oils will tend to separate, so shake before each use. Use this insect repellant spray as you would any other, applying right before you head into buggy territory. It’s not recommended to use on little faces, but you can spray a little one’s hat or bandana to help protect their head from insect attacks. This bug juice is also safe to use during pregnancy. One application of insect repellant isn’t enough to keep the pests away all day, especially if you will be sweating or getting wet. Reapply the insect repellant anytime you notice the bugs coming closer. When not in use, store your insect repellant spray in cool, dark place to make it last throughout the insect season. Images via Cat DiStasio for Inhabitots. One application of insect repellant isn’t enough to keep the pests away all day, especially if you will be sweating or getting wet. Reapply the insect repellant anytime you notice the bugs coming closer. 5. Prolong the life.